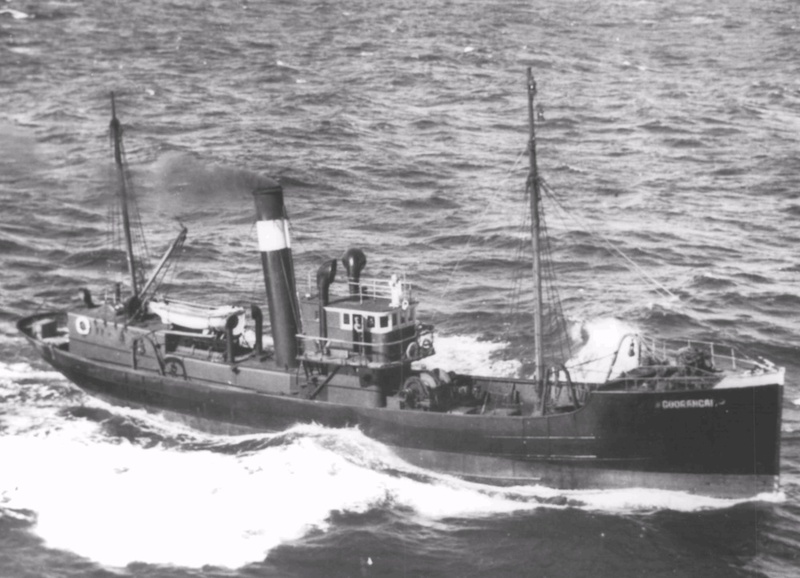 The steam trawler MV Goorangai was built for the New South Wales Government at the State Dockyard in Newcastle in 1919 and was sold to Cam & Sons Pty Ltd of Sydney in 1926. MV Goorangai prior to commissioning into the Royal Australian Navy. She was requisitioned for naval service on 8 September 1939, one of eight vessels requisitioned from Cam & Sons, and commissioned as HMAS Goorangai at Melbourne on 9 October 1939 for service as an auxiliary minesweeper. 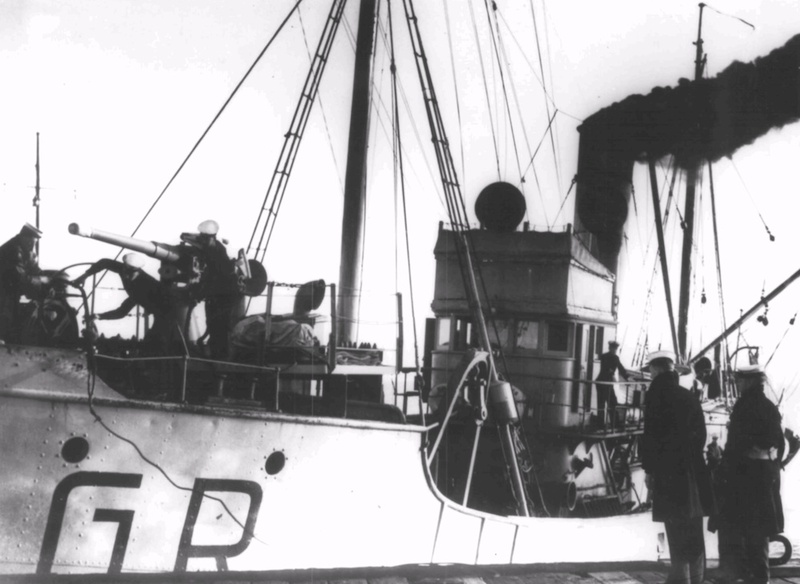 She joined Minesweeping Group 54 in Melbourne and operated primarily in Bass Strait. 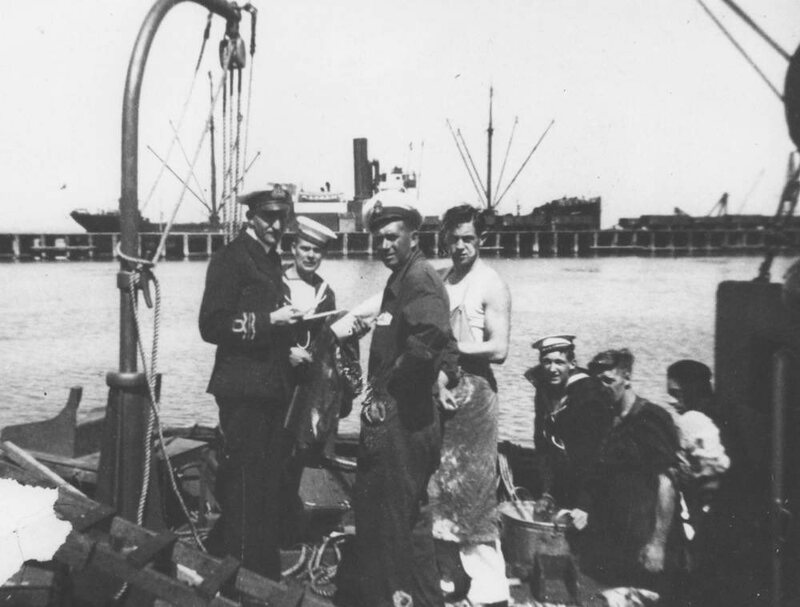 Lieutenant Commander Norman Trace, RANR, with members of Goorangai's crew prior to the ship commissioning in 1939. 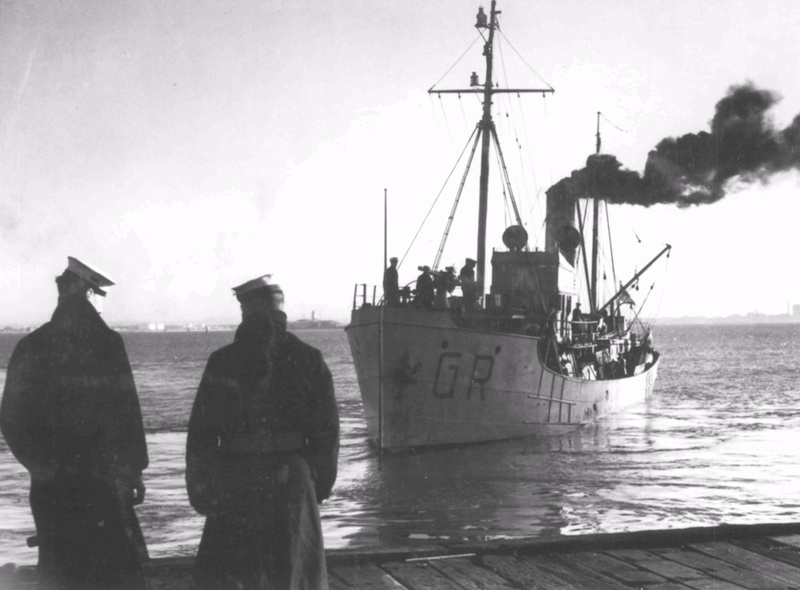 HMAS Goorangai in Port Phillip Bay. Goorangai's wartime designation is prominently displayed on her hull. In the evening of 20 November 1940, while en route from Queenscliff to Portsea in Port Phillip Bay where she intended to anchor for the evening, she collided with the 10,364 ton, outward bound passenger liner, MV Duntroon, which struck her amidships on the port side. Duntroon’s captain had believed that she was on a parallel course to Goorangai and overtaking her. By the time he realised Goorangai’s true course, with Duntroon travelling at more than 17 knots, it was too late to avoid the collision. 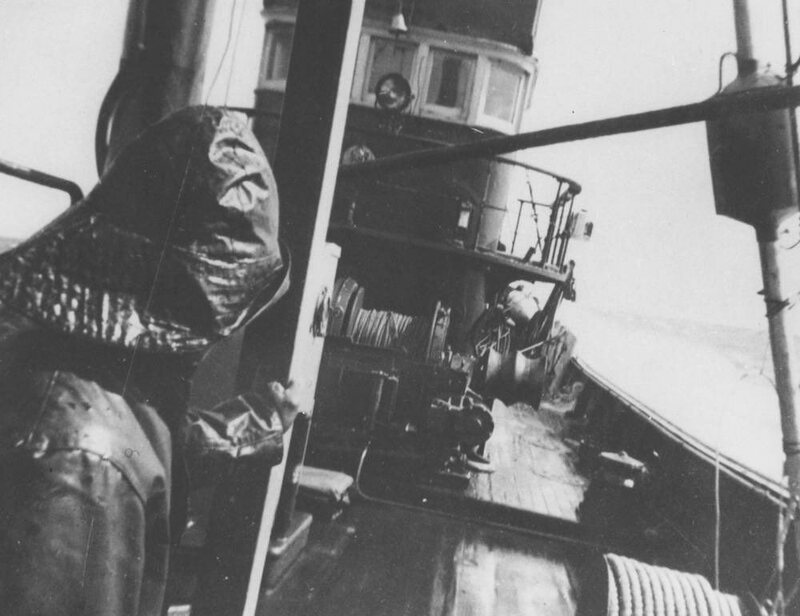 Goorangai was cut in two and sank in less than a minute with the loss of her entire crew of 24. Just six bodies were recovered in subsequent salvage operations. 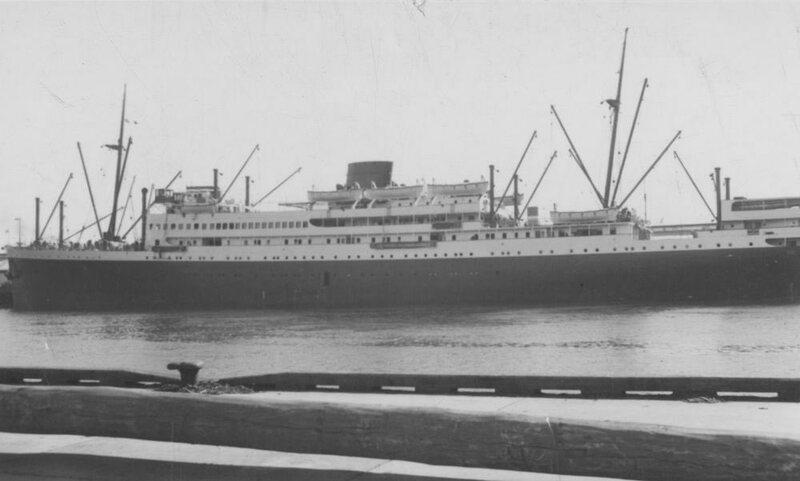 She was the first ship lost by the RAN in World War II. 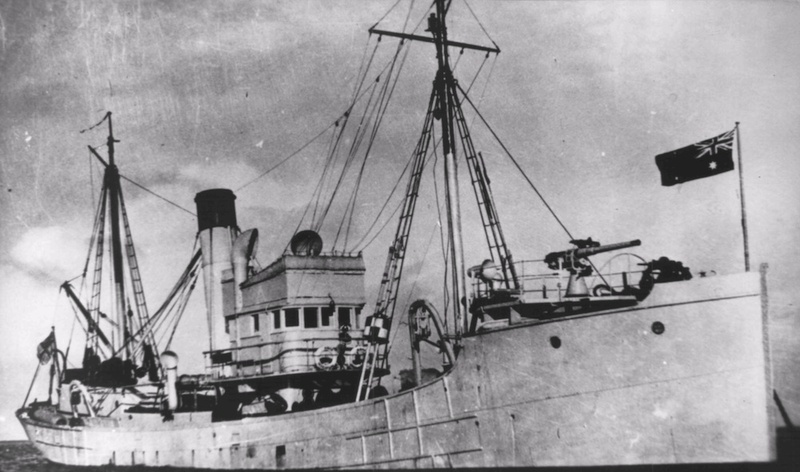 The 10,364 ton MV Duntroon, which collided with the 223 ton HMAS Goorangai on 20 November 1940. The wreck of Goorangai lay inside the shipping transit zone in less than 15 metres of water and was considered a hazard to navigation. She was demolished by explosive charges early in 1941. HMAS Goorangai conducting minesweeping operations in heavy weather in Bass Strait. The news of the collision quickly reached media outlets ashore which believed that normal wartime censorship provisions did not apply, as Goorangai’s loss was not due to enemy action and did not involve aspects of security, and claimed the right of immediate publication. The Naval Board, however, secured a censorship ban until the next-of-kin of those lost had been informed, an action later upheld by the Government. On 10 December, the War Cabinet confirmed supplementary censorship instructions which provided for the loss of service personnel in accidents in Australia or Australian waters. HMAS Goorangai alongside in Port Phillip Bay. On 16 November 1995, the wreck of Goorangai was declared a historic shipwreck as specified in the Historic Shipwrecks Act (1981). 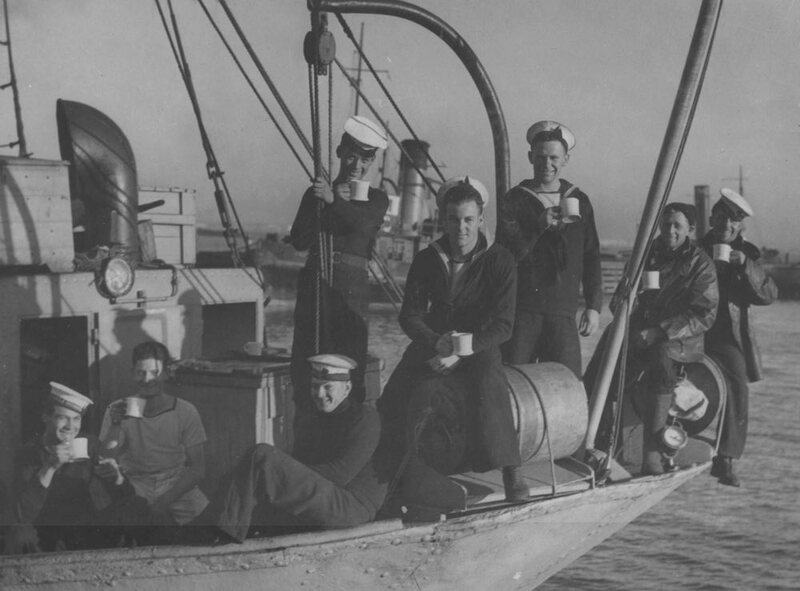 Members of Goorangai's crew photographed on the morning of her collision with MV Duntroon, 20 November 1940. Left: The HMAS Goorangai memorial at Queenscliff, 27 November 1986. 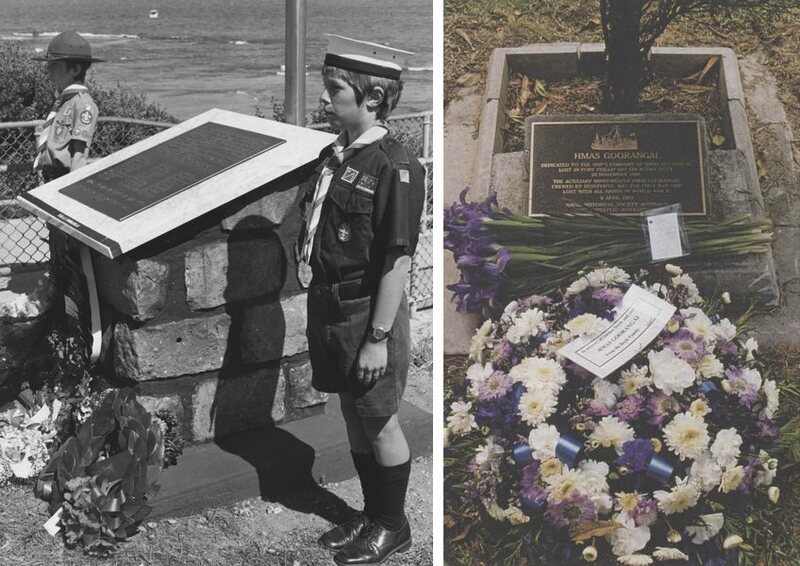 Right: The HMAS Goorangai memorial plaque at HMAS Cerberus, 6 April 1997.